World Stroke Day is an annual awareness day observed on October 29. It was established to raise awareness of the high rates and serious nature of stroke and educate people about the treatment and prevention of this condition. Stroke, also known as cerebrovascular accident, occurs when poor blood flow to the brain results in cell death. It is a very widespread disease worldwide. Every year, over 15 million people have a stroke. About 6 million of them die, and approximately 5 million survivors are left permanently disabled. In 2004, the World Stroke Congress was held in Vancouver, Canada. During the congress, the idea to create an awareness day dedicated to stroke was voiced. 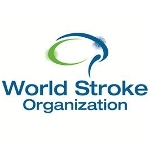 On October 29, 2006, the World Stroke Federation and the International Stroke Society merged into the World Stroke Organization, which became the main organizer of World Stroke Day. Events and activities held on the occasion of World Stroke Day focus on raising awareness of the main risk factors for stroke, such as high blood pressure, high blood cholesterol, obesity, tobacco smoking, previous transient ischemic attacks etc. Prevention of stroke includes decreasing risk factors. It is also important to know how help stroke survivors in order to accelerate their recovery.